Abstract: Beyond automating productivity and supporting decision making, Artificial Intelligence can also be designed to help people to flourish and grow. As people across ages and stages begin to live with AI in the home, we have the opportunity to develop autonomous machines that can support a diversity people as emotionally intelligent and capable allies. This is particularly poignant as societies struggle to meet the growing demands of aging, chronic disease management, mood disorders, and lifelong learning. This gives rise to important challenges and opportunities for how to design, deploy and evaluate the long-term impact of socially and emotionally intelligent machines in the real world to help people learn, thrive and emotionally connect. This requires a tightly interwoven approach at the intersection of design, human social psychology, ethics, and AI. We have the opportunity to develop AI that places human growth and wellbeing at the center to benefit everyone in personally meaningful and uplifting ways. Cynthia Breazeal is an Associate Professor at the MIT Media Lab, where she founded and directs the Personal Robots Group. She is Associate Director of Strategic Initiatives for the MIT Quest for Intelligence. 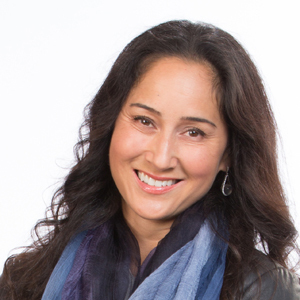 She is recognized as a pioneer in the field of social robotics and human-robot interaction that seamlessly integrates AI, Robotics, Psychology and Design. Her research focuses on the design and real-world impact of personalized and emotionally engaging personified AI technologies that promote personal growth and flourishing. She is author of the book ‘Designing Sociable Robots.’ She has spoken at prestigious venues such as TED, CES, SXSW, the World Economic Forum, and the United Nations on topics related to AI, innovation, and society. She is a recipient of awards by the National Academy of Engineering as well as the National Design Awards. She has received Technology Review’s TR100/35 Award and the George R. Stibitz Computer & Communications Pioneer Award. Her robots have been recognized by TIME magazine’s Best Inventions in 2008 and in 2017 where Jibo was featured on the cover. Abstract: With the ongoing growth of interest in AI, we have a responsibility to teach AI to rapidly increasing numbers of students. This also presents a wonderful opportunity to use AI to teach AI, and to use the teaching of AI as a testbed for AI techniques and tools. I will present several experiments in teaching AI, and, in particular, teaching cognitive systems. These experiments include not only face-to-face learning, but also online and blended learning. I will share results from assessments of learning in these classes. I will also draw out some general principles for teaching AI and using AI to teach AI. Ashok Goel is a Professor of Computer Science and the Director of the Ph.D. Program in Human-Centered Computing in the School of Interactive Computing at Georgia Institute of Technology. He conducts research into artificial intelligence and cognitive science with a focus on computational design and creativity. 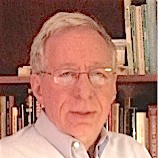 He is the Editor of AAAI’s AI Magazine and a Co-Chair of the 41st Annual Meeting of the Cognitive Science Society. He is a Co-Editor of a volume on Blended Learning in Practice: A Guide for Practitioners and Researchers to be published by MIT Press in 2019. Abstract: Computational Urban Sciences refer to the use of information and communication technology and data in the context of cities and urban environments. First, I present methods to identify patterns of behavior in energy consumption and credit card transactions. Then I show how this is a more complex task when working with environmental data. I finalize with open questions and proposed research to study human-natural systems interactions. 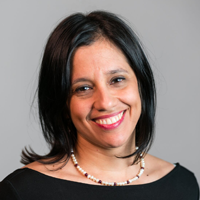 Marta C. Gonzalez is an Associate Professor of City and Regional Planning at UC Berkeley, and a Physics Research faculty at the Lawrence Berkeley National Laboratory (Berkeley Lab). With support from several companies, cities and foundations from around the world, her research team develops computational models to analyze digital traces to estimate the demand on urban infrastructures in relation to energy and mobility. Examples are: traffic gridlocks and the integration of electric vehicles in the power grid, policy of solar energy adoption, and habits in spending behavior. Her research has been published in leading journals, including Science, PNAS, Nature and Physical Review Letters. Abstract: Until about 2013, most researchers studying machine learning for artificial intelligence all worked on a common goal: get machine learning to work for AI-scale tasks. Now that supervised learning works, there is a Cambrian explosion of new research directions: making machine learning secure, making machine learning private, getting machine learning to work for new tasks, reducing the dependence on large amounts of labeled data, and so on. In this talk I survey how adversarial techniques in machine learning are involved in several of these new research frontiers. 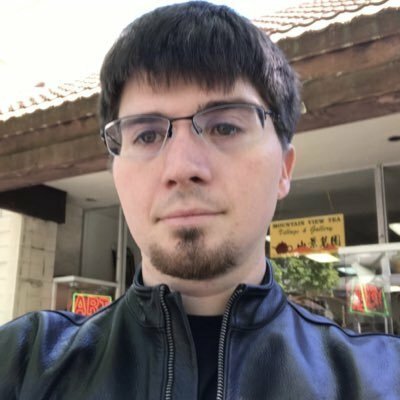 Ian Goodfellow is a senior staff research scientist at Google Brain. He leads a group of researchers studying adversarial techniques in AI. He developed the first defenses against adversarial examples, was among the first to study the security and privacy of neural networks, and helped to popularize the field of machine learning security and privacy. He is the lead author of the MIT Press textbook Deep Learning (www.deeplearningbook.org). In 2017, Ian was listed among MIT Technology Review’s 35 Innovators under 35, recognizing his invention of generative adversarial networks. Abstract: The emerging impact of AI and other automation technologies on all parts of society, including the workforce, is clear. The controversy is about the degree of disruption, for whom, and how public and private sectors should respond. The pace of change is unprecedented compared to previous industrial revolutions and will disproportionately affect different segments of society. Discussions, planning, and policymaking regarding the impact of AI should directly involve AI educators and policymakers in forecasting and reacting to the workforce and educational needs of the future. I will give an overview of the issues and current efforts to prepare for anticipated AI education requirements, including data on the different skills and knowledge needed and how institutions are likely, and unlikely, to respond in the predicted timeframes. Larry Medsker is a Research Professor in Physics, the former and founding Director of the Data Science graduate program, and a member of the Human-Technology Collaboration and Ph.D. Program group at George Washington University. His research is in hybrid intelligent systems, artificial neural networks, and the nature of humans and machines. Current work focuses on the impact of AI and Data Science on the workforce and on cognitive assistance in human-technology support systems for applications such as Autism Spectrum Disorder. He regularly participates in AAAI Symposia and is the ACM SIGAI Public Policy Officer, writing for and managing the AI Matters blog on public policy. Tuomas Sandholm is Angel Jordan Professor of Computer Science at Carnegie Mellon University. He is Co-Director of CMU AI. 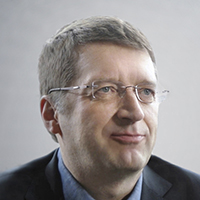 He is Founder and Director of the Electronic Marketplaces Laboratory. 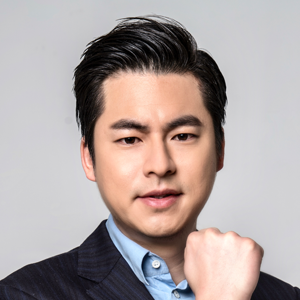 He is Founder and CEO of Optimized Markets, Strategic Machine, and Strategy Robot. He has designed and fielded $60 billion of combinatorial auctions. His algorithms run the national kidney exchange for UNOS. Optimized Markets is bringing new optimization-powered paradigms to advertising campaign sales, scheduling, and pricing—in TV, streaming, display, mobile, game, radio, and cross-media advertising. Strategic Machine and Strategy Robot are bringing computational game solving to business, military, gaming, and sports applications. Abstract: With the maturing of AI and multiagent systems research, we have a tremendous opportunity to direct these advances towards addressing complex societal problems. I will focus on the problems of public safety and security, wildlife conservation and public health in low-resource communities, and present research advances in multiagent systems to address one key cross-cutting challenge: how to effectively deploy our limited intervention resources in these problem domains. Results from our deployments from around the world show concrete improvements over the state of the art. In pushing this research agenda, we believe AI can indeed play an important role in fighting social injustice and improving society. 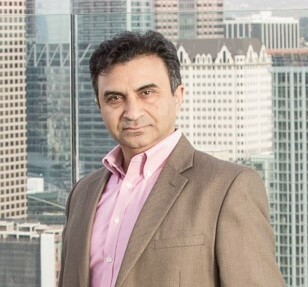 Milind Tambe is Helen N. and Emmett H. Jones Professor in Engineering and Founding Co-Director of the Center for AI in Society at the University of Southern California. He is a fellow of AAAI and ACM, and recipient of the IJCAI John McCarthy Award, ACM/SIGAI Autonomous Agents Research Award, INFORMS Wagner prize, the Rist Prize of the Military Operations Research Society, the Christopher Columbus Fellowship Foundation Homeland security award, International Foundation for Agents and Multiagent Systems influential paper award, Meritorious Team Commendation from the US Coast Guard and LA Airport Police, and Certificate of Appreciation from US Federal Air Marshals Service. Abstract: Despite its great progress so far, artificial intelligence (AI) is facing a serious challenge in the availability of high-quality Big Data. In many practical applications, data are in the form of isolated islands. Efforts to integrate the data are increasingly difficult partly due to serious concerns over user privacy and data security. The problem is exacerbated by strict government regulations such as Europe’s General Data Privacy Regulations (GDPR). In this talk, I will review these challenges and describe possible technical solutions to address them. In particular, I will give an overview of recent advances in transfer learning and show how it can alleviate the problems of data shortage. I will also give an overview of recent efforts in federated learning and transfer learning, which aims to bridge data repositories without compromising data security and privacy. Qiang Yang is a chair professor at Computer Science and Engineering Department at Hong Kong University of Science and Technology (HKUST). His research interests include artificial intelligence, machine learning, especially transfer learning. 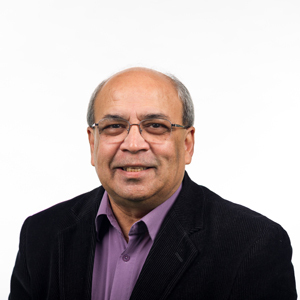 He is a fellow of AAAI, ACM, IEEE, AAAS etc., and the founding Editor in Chief of the ACM Transactions on Intelligent Systems and Technology (ACM TIST) and the founding Editor in Chief of IEEE Transactions on Big Data (IEEE TBD). He received his PhD from the University of Maryland, College Park in 1989 and has taught at the University of Waterloo and Simon Fraser University. He was the PC Chair of IJCAI-2015, and received the ACM SIGKDD Distinguished Service Award in 2017. He is the current President of IJCAI (2017-2019) and an executive council member of AAAI. Abstract: Urban computing is a synergy among cloud computing, big data and AI models in the context of cities, tackling urban challenges, such as air pollution, energy consumption and traffic congestion, to create win-win-win solutions that improve urban environment, human life quality and city operation systems. This talk presents the vision of urban computing, demonstrating how AI technology helps to build intelligent cities. A series of AI-driven applications, such as location selection for business, forecasting air and water quality, and reducing energy consumption are also introduced in this talk. More information can be found through the website: http://icity.jd.com/. Yu Zheng is the Vice President of JD Group, leading the Urban Computing Business Unit and JD Intelligent City Research. He also serves as the Chief Data Scientist at JD Digits, passionate about using big data and AI technology to tackle urban challenges. Before Joining JD Group, he was a senior research manager at Microsoft Research. Zheng is also a Chair Professor at Shanghai Jiao Tong University and an Adjunct Professor at Hong Kong University of Science and Technology. He currently serves as the Editor-in-Chief of ACM Transactions on Intelligent Systems and Technology and has served as chair on over 10 prestigious international conferences, such as the program co-chair of ICDE 2014 (Industrial Track), CIKM 2017 (Industrial Track) and IJCAI 2019 (industrial track), as well as an area chair of AAAI 2019. In 2013, he was named one of the Top Innovators under 35 by MIT Technology Review (TR35) and featured by Time Magazine for his research on urban computing. In 2014, he was named one of the Top 40 Business Elites under 40 in China by Fortune Magazine. 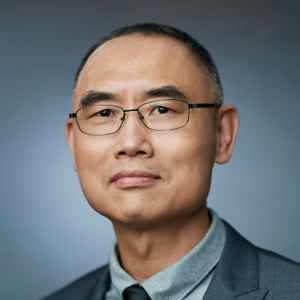 In 2017, Zheng was honored as an ACM Distinguished Scientist. His homepage is http://urban-computing.com/yuzheng.